We’ve got the scoop on a low cost, low-carb, high-protein and naturally gluten-free food that we have to tell you about—and no, it’s not kale. Fresh Tilapia from Mexico and Honduras is an all-natural, delicious, healthy and sustainable fish that will make the perfect addition to your family’s healthy diet. Tilapia from Mexico and Honduras is easily available and about 70% of the Fresh Tilapia eaten in the USA comes from these two countries. With a mild taste that even the pickiest of eaters will enjoy and essential vitamins like Omega-3s and B12, this is one product you and your family can enjoy for years to come. Regal Springs is a family-owned company that started farming Tilapia nearly 30 years ago. Over the years it has grown into the worlds largest producer of premium Tilapia and supplies about 70% of the Fresh Tilapia eaten in America. All their Tilapia are raised in pristine, deep-water lakes where they swim against water currents, just like in the wild. This healthy environment produces Tilapia that taste amazing and are free of mercury or other contaminants. The fish are never exposed to antibiotics, growth hormones or preservatives. Tilapia farmers and producers in these countries feed their fish only the highest quality vegetable-based food, made from American soybeans, corn and grain. This high-quality diet gives the fish an extremely pleasing mild flavor and flaky texture. Because Mexican and Honduran Tilapia is raised in large floating pens, they do not feed on algae, mud or waste from the bottom of the lake. These fish farming methods differ greatly from those of other countries. Many other countries including China hold their Tilapia production to much lower standards, resulting in Tilapia that may feed on algae at the bottom of the shallow ponds they’re raised in. 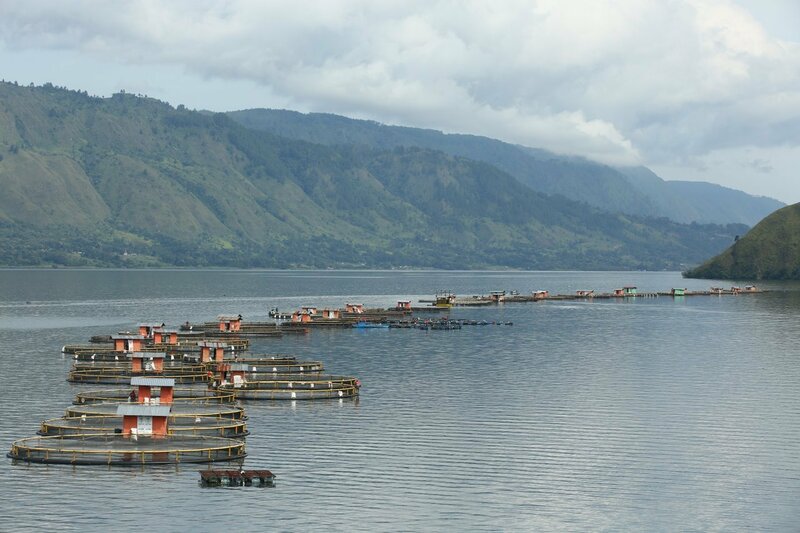 Often, the water isn’t monitored as diligently as the pristine lakes in Mexico and Honduras and most of these farms aren’t certified by the Global Aquaculture Alliance and the Aquaculture Stewardship Council. Tilapia is a delicious source of many essential vitamins and nutrients, such as Vitamin C, niacin, selenium, Omega-3, phosphorous and magnesium. It’s also low in calories and contains less fat than most other seafood choices. Because Tilapia from Mexico and Honduras are farmed with such high standards, all these nutrients get passed on to you without any harmful chemicals used in other fish farms. There’s no need to worry about the quality of the water the fish was raised in, the food it ate or the way it was harvested. Tilapia is extremely easy to cook and can be used in many healthy recipes. Even people who don’t usually like fish often enjoy Mexican or Honduran Tilapia due to its mild taste. 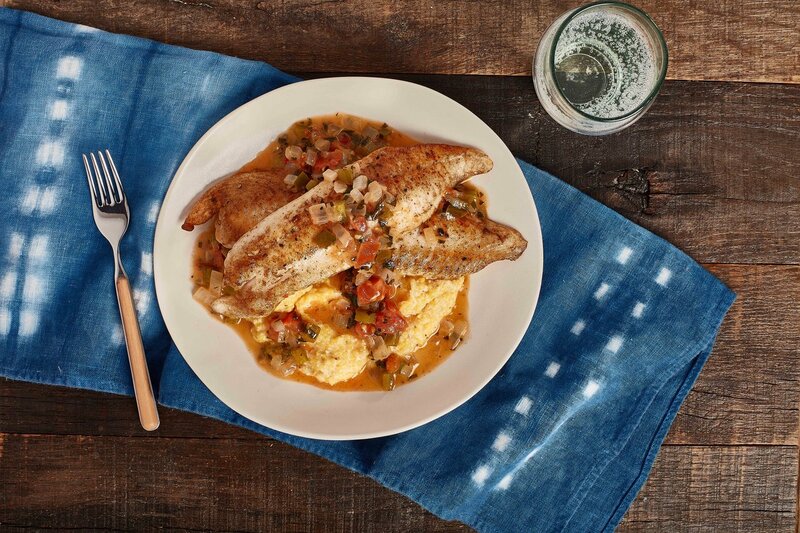 Due to its versatility, the sky’s the limit when it comes to cooking Tilapia, meaning you can combine it with the healthiest ingredients available. It easily be baked, breaded, sautéed or broiled. It’s also a great substitute for meat because of its high protein levels. Add it to pasta dishes, tacos or stir fries and prepare with all sorts of flavors, from curry to chimichurri. With a fish like this, who needs red meat? 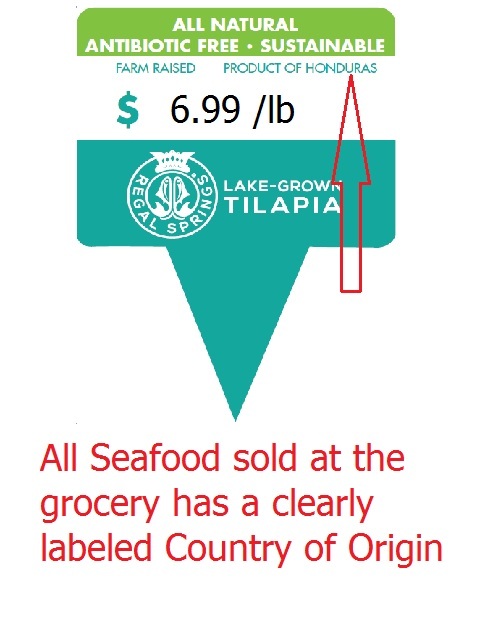 To see where you’re buying your Tilapia from, check out the country of origin listed on the packaging of all fresh and frozen seafood. The listing will usually appear on the price tag for fresh seafood and on the back of the package for frozen seafood. Tilapia from Mexico and Honduras is a healthy way to shake up your dinnertime routine. Pick up a fresh Regal Springs Tilapia fillet next time you’re out grocery shopping and see how easy it is to get essential vitamins and nutrients from this delicious fish.